This Air Box Kit is produced from black anodized aluminum with high profile top cover, applied with DNA Racing & Off road Limited Warranty, and includes one DNA Filter . The filtering efficiency is extremely high at 98-99% filtering efficiency, with 4 layers of DNA® Cotton for maximum engine protection. 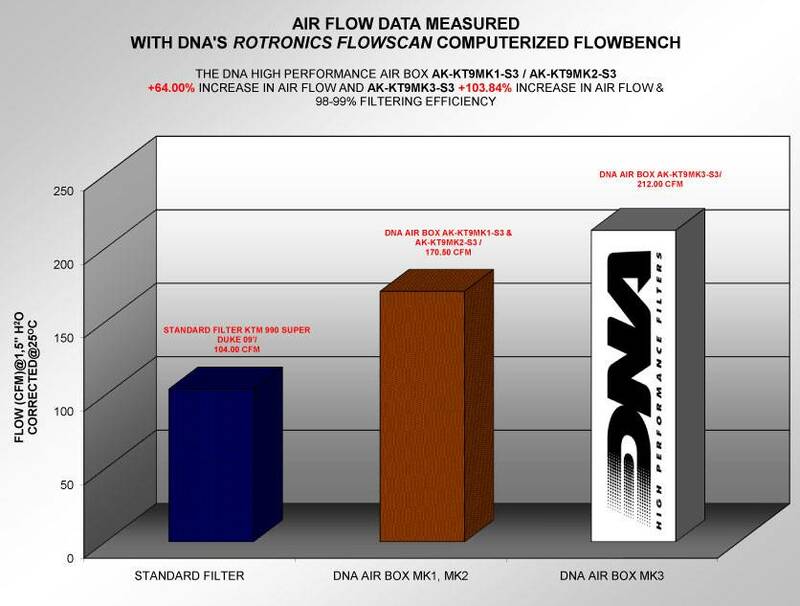 The flow of the DNA Stage 3 Air Box Kit is 64.00% for the AK-KT9MK2-S3 more than the KTM stock air box, at 170.50 CFM (Cubic Feet per Minute) @ 1,5" H2O . 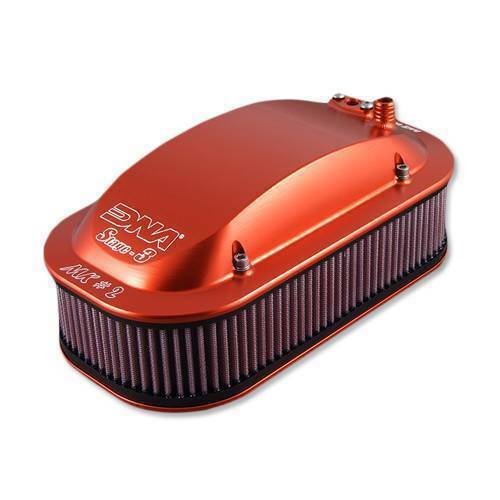 This DNA® Stage 3 Air Box Kit is designed as a High flow Air Box Kit for race, road and Off-Road use. Designed to be used with or without the lower stock air box.